TBILISI, DFWatch–Russia is beginning a process of simplifying visa rules for Georgian citizens, a few days after the EU published a positive final report about fulfillment of a visa liberalization action plan. The Russian Foreign Ministry announced on Tuesday that from December 23, citizens of Georgia applying for business, working, educational and humanitarian visas will receive visas allowing multiple entrance to the country. The possibility of Russia easing visa rules for Georgians was first raised by President Vladimir Putin at a press conference a day before the EU Commission published its report. “Moscow views signals from the current leadership of Georgia, and these signals are received,” Putin remarked then. 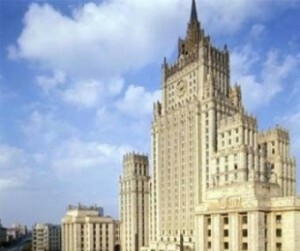 Tuesday’s statement by the Russian Foreign Ministry says that private visas will be issued regardless of whether there is a relation between the inviting and invited persons. It also says that Russia is committed to simplify the ways of maintaining relations between citizens of the two states, which may in the future be reflected in introducing rules for visa-free travel. A few days ago, Prime Minister Irakli Garibashvili evaluated Putin’s statement as a ‘correct step.’ He said Georgia is ready to continue its ‘pragmatic course’ with Moscow. The PM recalled that Georgia abolished visa rules for Russian citizens in 2011, and this year they were allowed to stay longer in Georgia. “We are interested in [seeing] more tourists coming to Georgia from Russia, and easing contact between people,” his statement reads. Putin accused the former government of making ‘adventurous decisions’, referring to the Russia-Georgia war of August, 2008. He continued that even though it wasn’t Russia that initiated a worsening in relations with Georgia, they are ready to restore relations. “As for Georgia’s territorial integrity, this is a matter for Georgian, Abkhaz and Ossetian people to decide. You should work with them, we will accept any decision,” he said.